Generators like Wight Community Energy (pictured) will now face 15% losses to revenues instead of 54% originally expected. Image: WCE. 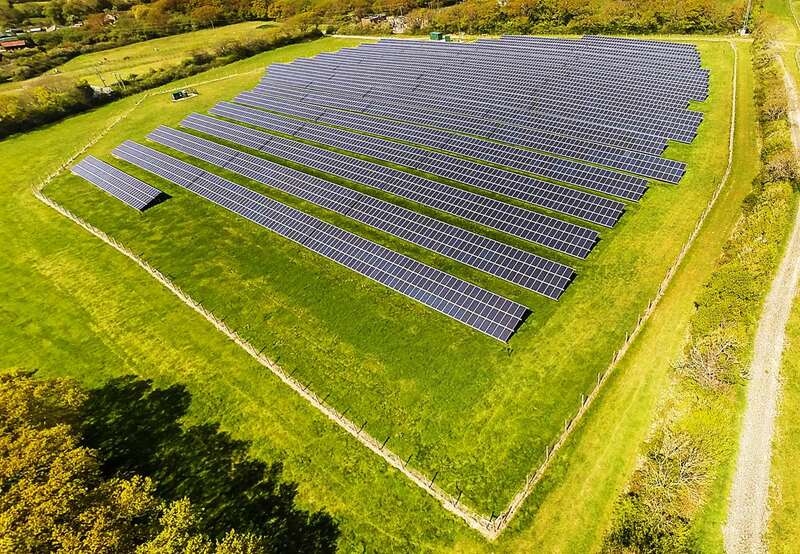 Widespread curtailment of solar generators that had been planned for the Isle of Wight between July and October will be largely avoided following intense negotiations between SSE and a consortium of affected generators on the island. Last month Solar Power Portal reported that around 70MW of large scale solar farms across 15 sites were facing switch offs over the summer while SSE and National Grid conducted reinforcement works on their prospection networks. The assets, owned by the likes of Octopus, Bluefield, Low Carbon and Magnetar, and a community energy project, had already been hit by switch-offs in April when National Grid conducted work on a mainland sub-station. According to Wight Community Energy (WCE), its 3.95MW project was fully curtailed, reducing expected annual output by 8.1% (410,577 kWh), resulting in £46,521 of lost income. Similar work was expected to take place in the four months to October, with WCE projecting revenue losses of 54%. However, after WCE joined together with the other asset owners to pressure SSE into action, expected losses have been reduced to 15% after the solar farms were moved onto an inter-trip system. This will afford SSE greater transparency and visibility over the amount of capacity on the local grid, which is known to change very quickly. Instead of counteracting this by curtailing whole periods of expected instability, the inter-trip system allows SSE to be more flexible and act in real time to limit the level of solar curtailment. SPP understands that some form of deal has also been made to allow the solar projects to use the existing and underutilised grid capacity from with the standby Cowes power station run by RWE. Robert Rabinowitz, head of energy generation at Mongoose who negotiated with SSE on behalf of WCE, told SPP that the outcome is far better than previously expected. “We're really pleased that we were able to limit the curtailment as it means the project can continue to meet all of its operating and financing costs, including a loan from the Isle of Wight council,” he said. The other private solar farm owners are also said to be positive about the outcome, while WCE’s chairman Colin Palmer said the threat originally posed by the enforcement works had resulted in a closer dialogue with SSE. “After a lot of negotiation with SSE, I’m very pleased because I think we have a much better relationship with them. They’ve created a generators forum where all the generators who are or want to be on SSE’s network can get together and discuss issues with them. I see that as a direct result of what we’ve been doing,” he explained. However, while the expected losses have been drastically reduced the generators continue to face some lost revenues. Speaking at WCE’s AGM last month, Palmer explained that the 15% losses will mean that in 2017 the community scheme will not be able to make any payments of members’ interest or contributions to the community fund. Similar losses were incurred in 2016 resulting from grid outages and the implementation of an Active Network Management (ANM) system. This shuts down projects if the local grid is overloaded or in case of communication problems. For WCE’s project, 18 communication problems in 2016 resulted in losses of 35,337kWh. Rabinowitz added: “Over the long term, we need a solution which means this isn't happening at all. Our members are very committed now to keeping the pressure up on SSE but also focusing on National Grid because for people that live on the Isle of Wight, this kind of curtailment has really negative impacts in attracting new renewable energy to the island.